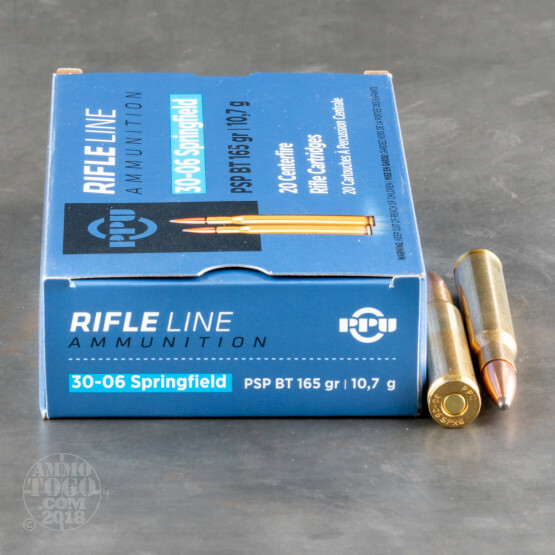 Produced by the Prvi Partizan (PPU) manufacturing plant located in Užice, Serbia, this 30-06 rifle ammunition provides reliability and performance at a price point perfect for the budget-conscious shooter. One of the world’s largest modern ammunition manufacturers, Prvi Partizan was founded in 1928. Best known for supplying ammunition to the Serbian military and police forces, the company also manufactures quality ammunition for civilian use. 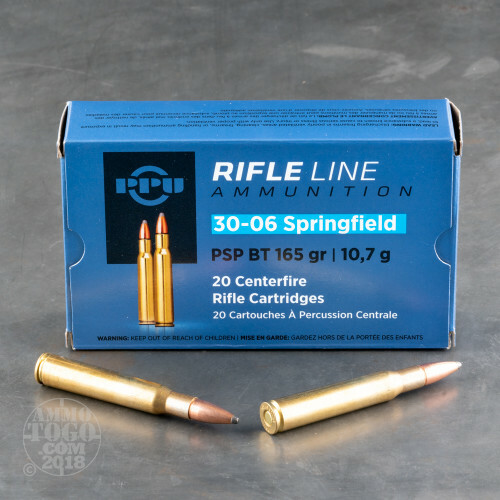 Manufactured using only the best quality components, PPU’s Rifle Line offers rifle ammunition that is accurate, dependable, and effective. 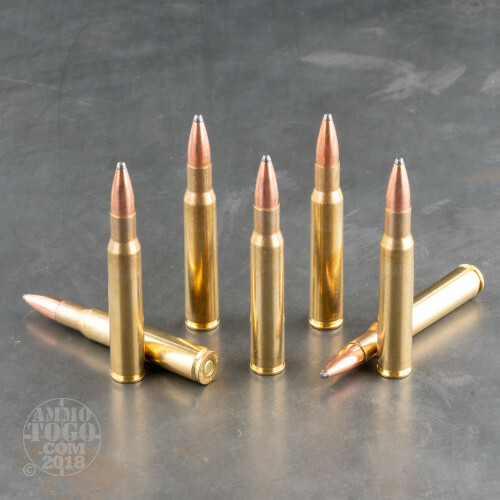 Each of these .30-06 Springfield cartridges is loaded with a 165 grain soft point projectile. Each round leaves the muzzle at a velocity of 2805 feet per second and delivers 2883 foot pounds of energy right out of the muzzle. With excellent mushrooming, these soft points are ideal for hunting medium to large game, including whitetails. 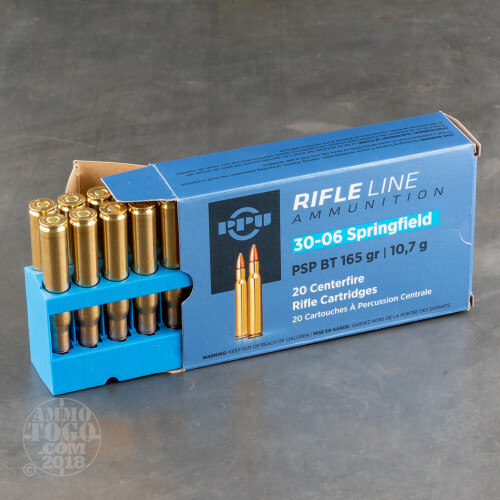 Packaged in 20-round boxes, this factory fresh ammunition is 100 percent non-corrosive, boxer primed, and features high-quality reloadable brass cases.